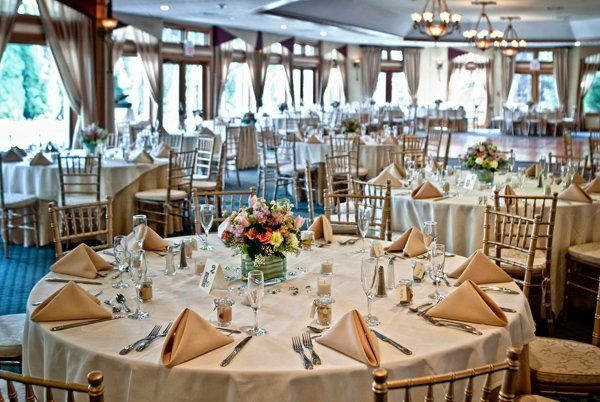 Crystal Springs Resort is a classic country club wedding venue company located in Hamburg, New Jersey. With five one-of-a-kind and stunning venues within a five mile radius, there is something for every couple. 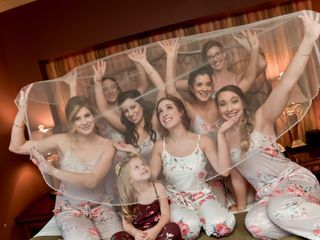 Let them provide you with memories that will last a lifetime. 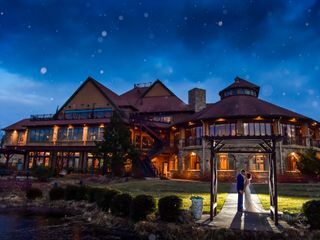 Crystal Springs Resort has five locations for couples to consider. The Ballyowen Golf Club embodies the Celtic feel of Ireland. 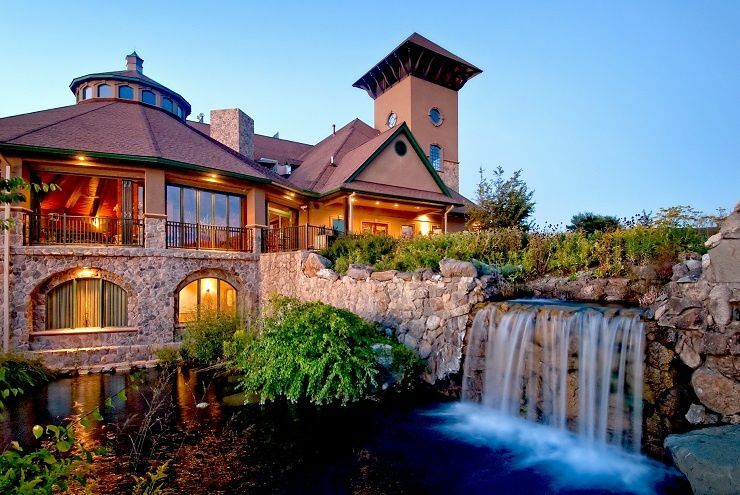 With acres of rolling farmland, craggy knolls, plunging quarries, tall wheat-yellow native grasses and plush green golf course fairways, there are plenty of picturesque locations. 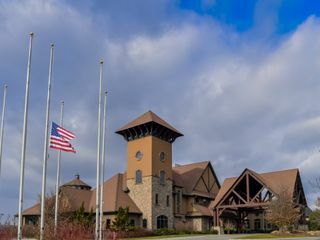 The stone Clubhouse features an old-world design with dark woods, a cathedral ceiling, circular bar and large stone fireplace. 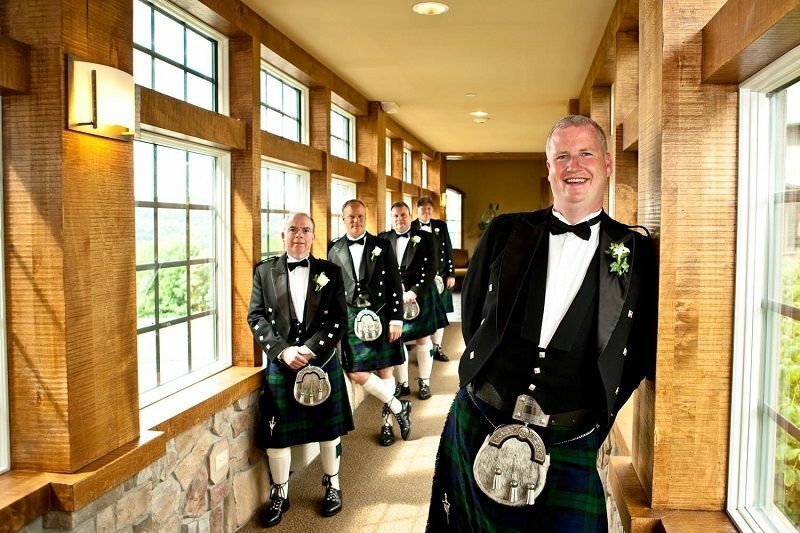 This venue is perfect for an intimate, country wedding of up to 150 people. 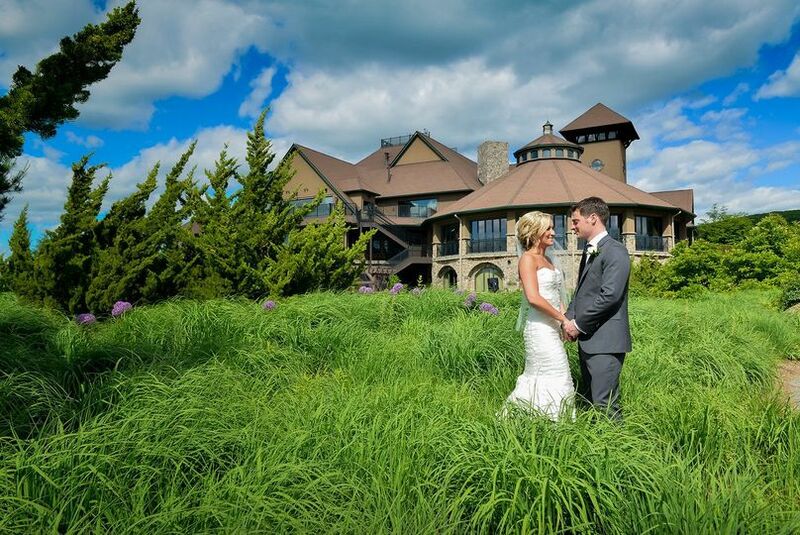 Black Bear Golf Club is a slightly larger venue accommodating up to 185 guests. The scenic golf course features a beautiful gazebo that can serve as a romantic location for your ceremony. 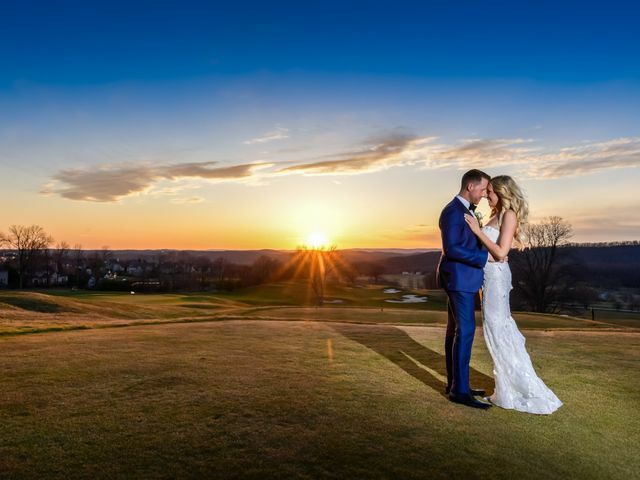 Both indoor and outdoor areas are available for your reception, each providing spectacular panoramic views overlooking Black Bear Golf Course and the Hamburg mountain range. 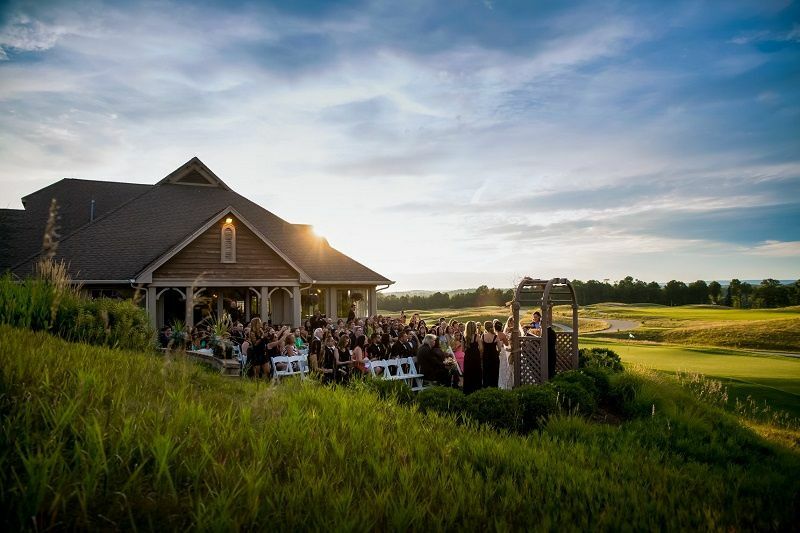 For couples dreaming of a charming outdoor wedding, Sweetgrass Pavilion is a stunning, scenic location that can host up to 150 people. 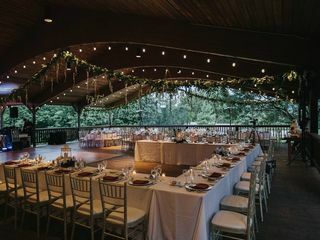 The open-aired rustic pavilion provides breathtaking views of the lush floral gardens and gorgeous patios of the venue’s Wedding Garden. Crystal Springs Resort has two options for accommodations. 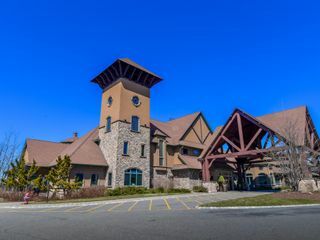 The Grand Cascades Lodge offers a four-star escape with striking architecture and beautiful views of the Kittatinny Mountain Range. Mineral’s Hotel provides a serene setting for the young at heart. The hotel offers a mountaintop Adventure Center, indoor and hotel pools, golf courses, fitness classes and more. 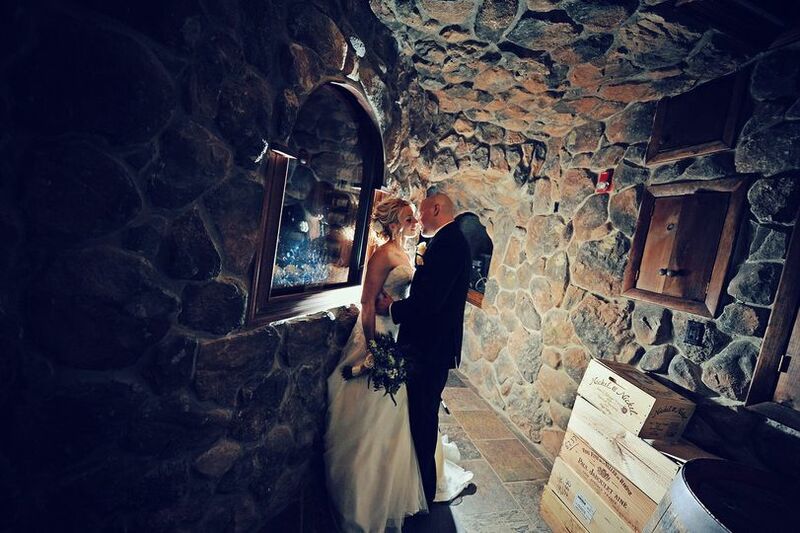 When I first visited Grand Cascades Lodge, I knew it was the place I wanted to get married. 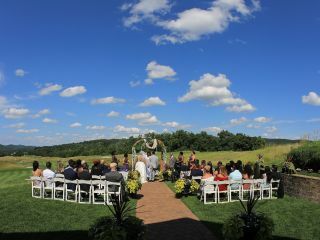 The grounds are so beautiful, especially to have an outdoor ceremony in May. 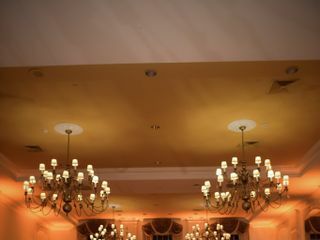 The ballroom is gorgeous as well with high ceilings and beautiful chandeliers. It fit our 167 guests comfortably and many of our guests were from out of town so having the resort there was perfect as well. Everyone had a blast and raved about how wonderful the food and service was the whole night. I also cannot say enough nice things about Jean, Sarah, Jenna and Daniel. Jean was so helpful and worked with my fiance and I in signing the contract and then passed us off to Sarah and her assistant Jenna who helped with the entire planning phase. Jean was still always there to ask if we needed anything though. Sarah is the sweetest and really made sure that any questions that I had along the way was answered. 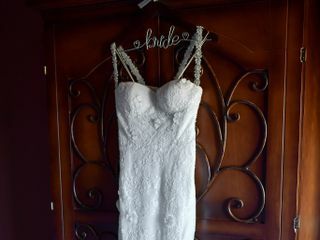 She was also able to accommodate any special requests I made and really eased my anxiety during planning. 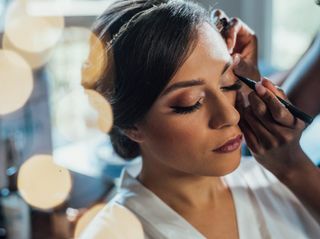 I did not have to worry about anything on the day of my wedding except to just get ready. Daniel was my maitre d and he was THE BEST! He was there to help with anything that I needed after the ceremony. If I needed a drink, Daniel was there to hand me one. 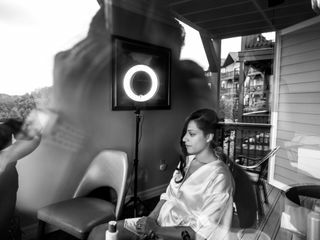 It was difficult for my fiance and I to find the time to eat during our cocktail/reception so Daniel set up our food in the bridal suite so we could take a couple minutes away to enjoy it. He was extremely thoughtful the whole night. 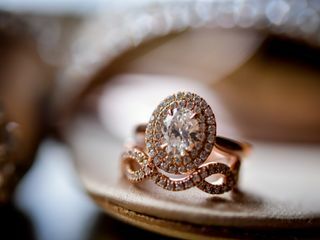 My wedding went perfectly and I am so thankful to the team at GCL for that! 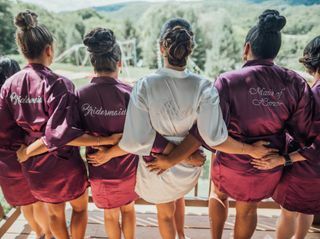 The staff at Crystal Springs didn't miss a detail for my wife and I's big day. 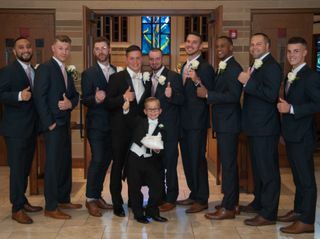 Everyone from Noah at the front desk of the hotel, the bell hops, the severs, Jean our contracting POC, Jenna our coordinator, our bridal room attendant, and Mark our Maitre d' did a fantastic and professional job. What really impressed me where the details that Crystal Springs did for my wife and I such as the incredible display of cocktail hour food in our suite and the display in our room when we got back from the reception. My guests had an absolutely amazing time and everyone commended Crystal Springs for their great work. 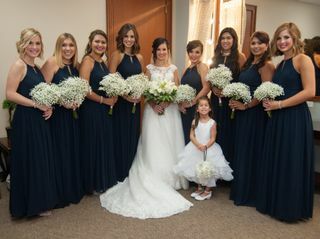 We had the best Wedding! 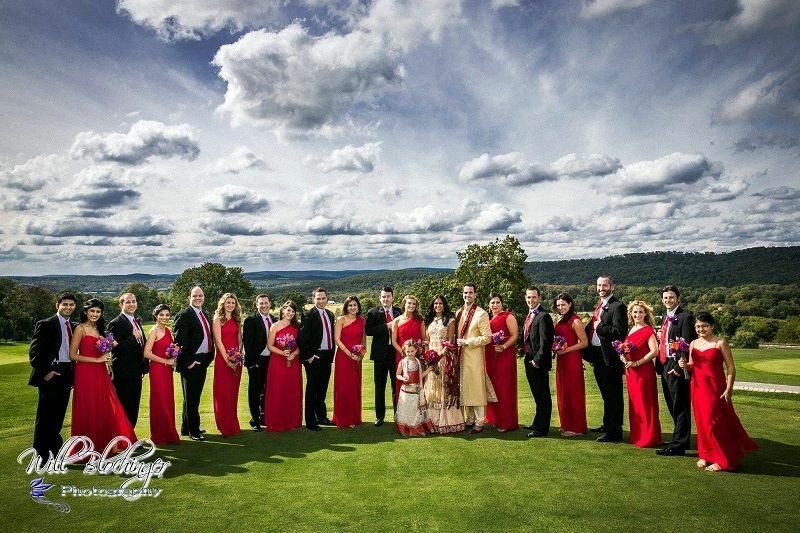 We had an amazing wedding that our guests cannot stop talking about! Our cocktail hour food was great! And the rotunda room is gorgeous- with beautiful views and stunning decor! Our guests have been raving about that room ever since. The ballroom has beautiful big windows and candelabra chandeliers. 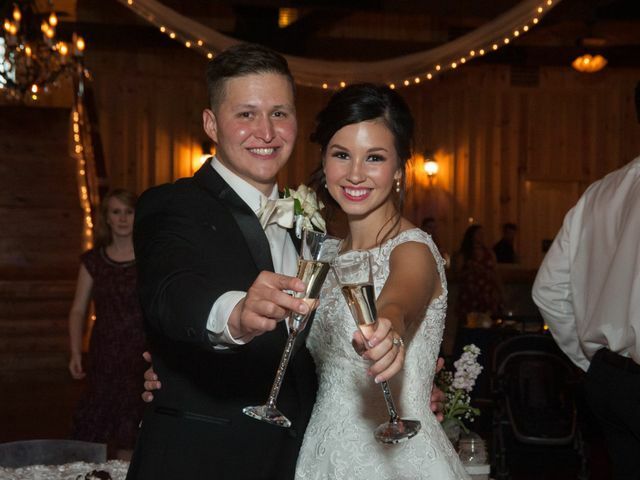 My husband had the steak and I had the chicken at our wedding (yes we actually ate at our wedding) and they were both good. We did an after party and a brunch in the Rotunda room and it was a hit. The guests loved the wings, burgers, fries, and mini pizzas at the after party and the food at the buffet brunch was great. JEAN initially helped us book our reception and worked very well with my parents. They were very happy working with her on that. 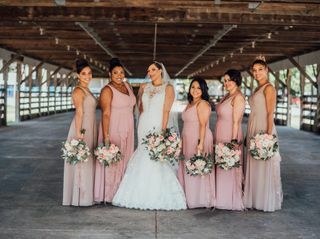 Our wedding coordinator was JENNA and she is the absolute best! She helped me work out all the details! I sent her so many lengthy emails and she answered every one promptly and completely! 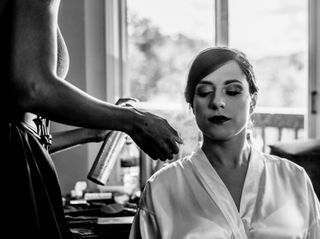 She was so helpful and truly was a crucial element in making my wedding day so wonderful! I can't thank her enough! DANIEL was our Maitre D' and he was fantastic!! He definitely made sure our night ran smooth and paid attention to every detail! He made our night so pleasant and we are so grateful! They even set up our own private tasting of our cocktail hour food so that we could enjoy it and have a few moments together and we are so happy they did because that moment was very special to us and allowed us to slow down for a minute and enjoy each other. 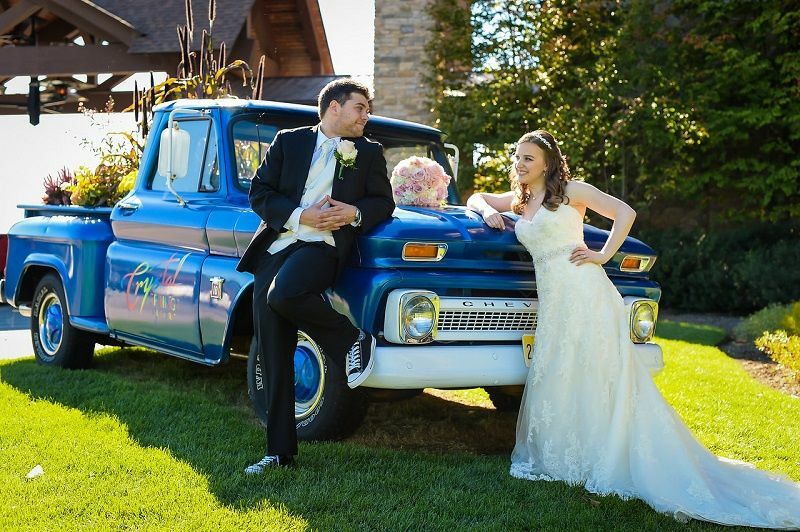 There was a hick up in the night with our centerpiece delivery but Jenna and Daniel handled it with ease! it could have been stressful but they made everything happen! and our guests never knew! 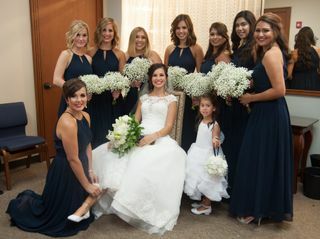 TERRY was our bridal attendant and was incredibly sweet and attentive and we are very appreciative to her as well! JOHN was our bar captain and he was great! The guests loved him and he really kept the bourbon flowing! Our guests loved him! Our overall experience at cyrstal springs was excellent! 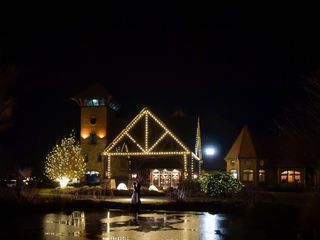 We are so glad we had our wedding there! It was truly a great weekend!